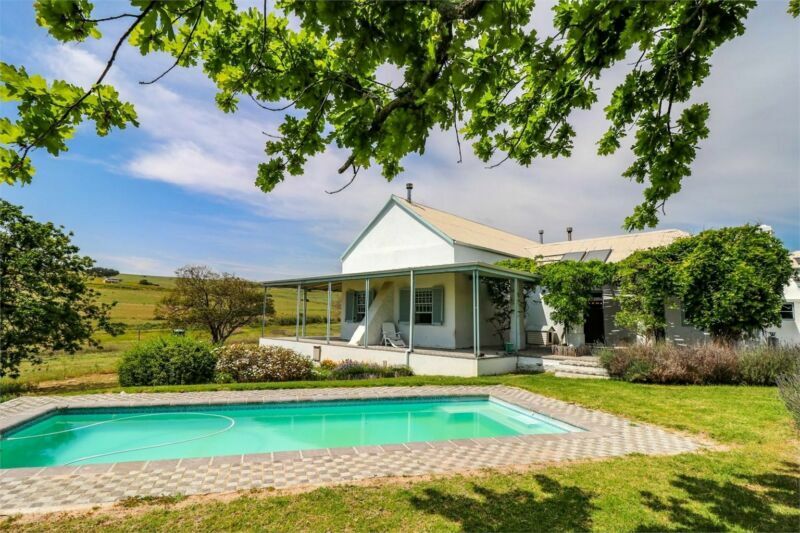 Located in the Paardeberg region, this farm is perfectly positioned to offer a prospector the opportunity to practice small scale farming. The 16 ha dry land vineyards are currently organically cultivated and include Chenin Blanc, Muscat, Palomina, Halslevelue, Pinotage and Shiraz which produce approximately 2 t/ha. Additionally, a wine cellar is equipped with everything you need to practice small scale winemaking. All equipment is included as well as the registered trademark. Enough water for the cellar and households are obtained from one of the three natural springs. A sizable bluegum forest could be an opportunity for bee farming. The beautiful homestead was renovated and is ready to move in. It has 3 large bedrooms, 3 neatly fitted bathrooms, a lounge with a fireplace and a kitchen with pantry. It boasts with features such as wooden floors and a fireplace in two of the bedrooms. Outside, neat wooden louvers are fixed on every window. Each bedroom has access to the large front porch with the perfect setting to relax and enjoy the ambience of country living.